The president was cautious not to heavily criticize the president-elect in his first press conference since the election. On Monday, President Obama addressed the press for the first time since the election of Donald Trump. 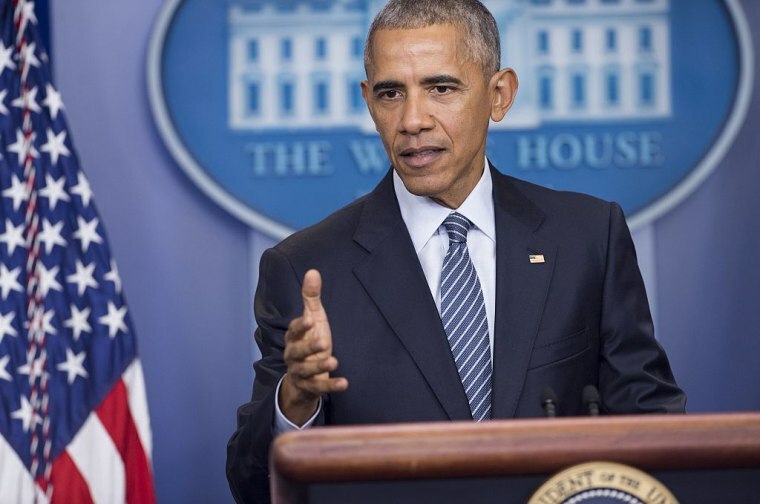 Obama urged Americans to give the president-elect a chance to lead but also noted that some of Trump's campaign rhetoric would have to be adjusted once he takes office. Obama told reporters that Trump was "sincere" during their meeting last week. "How he reaches out to groups that may not have supported him — how he signals his interest in their issues or concerns — I think those are the kind of things that can set a tone that will help move things forward," Obama said. "I don't think he is ideological, I think ultimately he is pragmatic in that way and that can serve him well as long as he has got good people around him and he has a good sense of direction," Obama said. The president declined to comment on Trump's recent appointment of white nationalist, media executive Stephen Bannon as senior White House policy adviser. In terms of what happens when Trump takes office, Obama said, simply, "If things get worse, then the American people will figure that out quick." Obama said that Trump seemed committed to maintaining global alliances during their recent meeting. "In my conversation with the president-elect, he expressed a great interest in maintaining our core strategic relationships and so one of the messages I will be able to deliver is his commitment to NATO and the Transatlantic Alliance," Obama said.